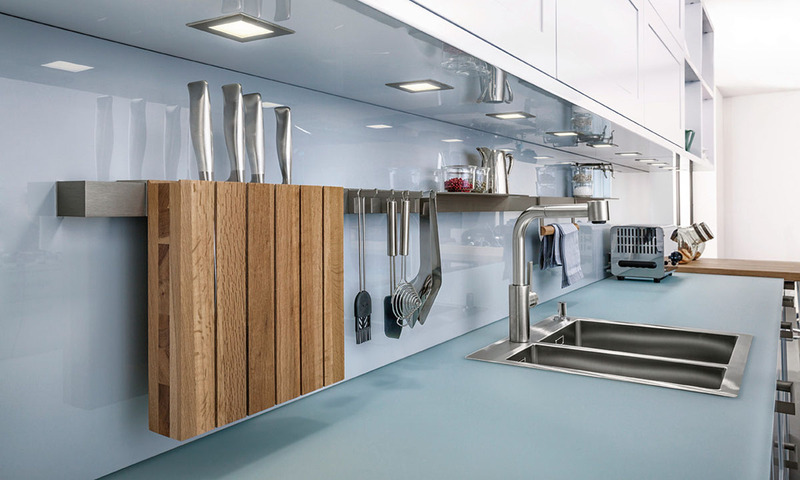 Modern kitchen design with classic, high gloss lacquered frame fronts in two colors: arctic white for the tall units, light blue/grey in the floor unit area and for the matte glass worktop. The wine rack in oak provides a “natural” contrast. You must be <a href="https://lussocucine.nyc/wp-login.php?redirect_to=https%3A%2F%2Flussocucine.nyc%2Fkitchens%2Fleicht%2Fcarre-lg-collection%2F">logged in</a> to post a comment.